Create new account | Sevilla F.C. 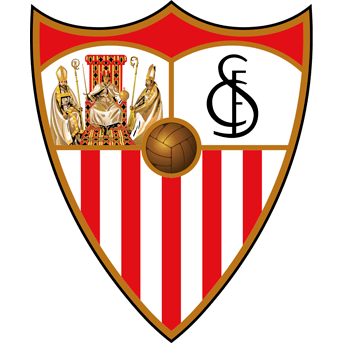 I accept that SEVILLA FÚTBOL CLUB S.A.D., A41035346, C/ Sevilla Fútbol Club S/N, 41005, Sevilla, may process and use the personal data I have provided (such as my contact details and personal details such as my date of birth, hobbies and interests) for the purposes of receiving information about products and services of the Club, offers and promotions, invitations to events, latest news and market research. The data will be used for an indefinite period of time unless you state otherwise. The Club will not pass on my data to third parties. The legal basis for the processing of this data is legitimation by consent of the User. 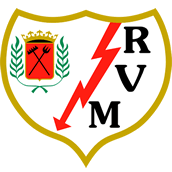 I accept that SEVILLA FÚTBOL CLUB S.A.D., A41035346, C/ Sevilla Fútbol Club S/N, 41005, Sevilla, may process and use the personal data I have provided for the purposes of receiving information about products and services, offers, promotions, invitations to events and news from third parties. The data will be used for an indefinite period of time unless you state otherwise. The Club will not pass on my data to third parties, and it will be the Club itself that sends me this third party information. The legal basis for the processing of this data is the legitimation by consent of the User. I accept that my personal data may be used to create individualized customer profiles through statistical procedures. As a result of this profiling process, I will receive marketing communications with related content that may interest me, such as personalized offers from SEVILLA FÚTBOL CLUB S.A.D. and from certain collaborating entities, as well as information, offers and promotions from third parties. In any event, SEVILLA FOOTBALL CLUB S.A.D. will not transfer this information to these other entities, the Club itself sending me this information from third parties. If available, the profiles developed about me may include the following information, which I may have provided personally or may have been generated during my use of the products and services: contact details (such as name, address, telephone number, email address); additional information (such as hobbies); identification details (such as membership number); customer history (such as receipt of offers, purchase details); data on applications, apps, websites or social networks (such as data on the usage thereof). The data will be used for an indefinite period of time unless you state otherwise. The legal basis for the processing of this data is the legitimation by consent of the User. This link provides an exhaustive list of the data in these categories. Should you desire, you may withdraw with immediate effect any declarations of consent that you have made to the club; you will be able to obtain confirmation as to whether the Club processes your personal data, as well as to access it, request the rectification of inaccurate data or, where appropriate, request its removal when, among other reasons, the data is no longer necessary for the purposes for which it was collected. In certain circumstances, you may request that the processing of your data be limited, in which case your data will only be kept for the exercise or defence of claims. In certain circumstances and for reasons related to your particular situation, you may object to the processing of your data. The Club will cease to process the data, except for compelling legitimate reasons, or the exercise or defence of possible claims. You are informed that the Club's data protection delegate is: Grupo Datcon Sur S.L.U. C/ Dr. Duarte Acosta 7, 1.24, El Puerto de Santa María, Cádiz. You may raise any issues you consider to be in relation to these existing agreements and exercise your rights under the terms provided by law by sending a letter through post to: SEVILLA FÚTBOL CLUB S.A.D., A41035346, C/ Sevilla Fútbol Club S/N, 41005, Sevilla, Spain, or through e-mail to: lopd@sevillafc.es with indication of the corresponding request, accompanied by a document of identification.